I finished the damper course last Wednesday. Seems so long ago as the rest of the two week course has been just as intensive as the three days of dampers. The instructor was another friend from 2009, Jan Hoeppner. Jan is thirteen years my junior, yet he has travelled so much in his work for Steinway, including China and Australia and he has such a great sense of human understanding, that you would expect him to be older. Jan also understands Australian and New Zealand humour, so there was always a great sense of fun interwoven with the serious side of our training. This course is slightly different to my last time in Hamburg, instead of working on new unfinished instruments, we were given older pianos to work on. We had to start by removing the hammer assembly (fitted for each course) and start fitting a new assembly. It is not just about screwing new parts on to the rails. There was a standard to be achieved before we could move on to the next part of the fitting process. There is a reason why every little detail is important however you could look at it as “a method in the madness”. After fitting the assembly and performing a reasonable quality regulation (align and adjust) we were permitted to start the pre-voicing. 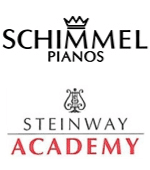 Steinway separates the pre-voicing and voicing operations, and make sure that the same voicer does not perform both operations on the same instrument. There is a reason! Voicing is adjustment of the density of the hammers to achieve a quality tone and dynamic response. In Hamburg, this is achieved by punching 7mm needles into the hammer felt. The amount of work that makes up pre-voicing is staggering. I decided to push the limits for my pre-voicing and in the process I gained a better understanding of voicing than ever before. I have always been afraid to push the limits in case I ruin an expensive set of hammers, but this training course gave me opportunities for research. Voicing is not a dark art practiced by members of a secret society. There are no shortcuts, no mysterious ways or any other hogwash I have heard and been subjected to over the years. These so called voicers who claim they have secret techniques should all be burnt at the stake. There is a process, and it is all in the details and the refinement of these details; repeated over and over again. After the pre-voicing, the action was adjusted and then the final voicing commenced. The final voicing is really only “fine tuning” the previous processes. The pre-voicing must be good otherwise the final result will be below average. The final voicing is a refinement and checking of previous procedures and this is repeated over and over until it passes the required standard. Small changes affect the overall quality and this is what really separates good from excellent. Whilst performing the pre-voicing, regulation and final voicing procedures my work was constantly evaluated by Jan, plus my two other training colleagues. We all prepared excellent sounding instruments that were capable of all dynamic changes as well as colours in the sound as well. The three pianos showed the personalities of both the instrument and the technician performing the work. After this intensive and physical work, we were given tours of the factory as well as checking out some of the hire concert pianos. One was interesting, K262, as it was a New York piano that had an American action, or, you could remove it and fit a Hamburg action. These two actions were custom fitted to this instrument. It was a great example of what can be achieved, yet Steinway do not tell the world about this. They just simply get on with their work and achieve by their desire to provide quality pianos and service. I understand why the concert pianos here are so good. They are constantly being worked on and adjusted, voiced, polished, refined over and over again. These instruments are simply remarkable. The technicians take so much pride in these instruments and treat them like their own possessions. My time with Jan was simply amazing. He has this quiet confidence that I see in Germans (as opposed to the self-deprecating Australian way) and he encouraged me to go out on a limb and throw caution to the wind. Jan quietly pushed my limits, yet knew when to give some encouragement or tell me to “get a cola”. He showed me ways of refining my work, and reminded me that you can make big changes with small movements. It is the little things that count.